Glorious birds, wonderful photos as always! I will be in our botanical gardens on Saturday with our birding group. All our little migratory warblers are gone – but we will see many of our beautiful endemics! I want to come birding with you in Ecuador! I hope that you had a great outing; we were very pleased with our lists for the day…. The door is always open for your birding visit!!!! A week’s notice would work for me!!! Your drawings are awe-inspiring! Beautiful photos, too, Lisa! Thank you! The drawings were for a t-shirt, which gave my friends a fun surprise! 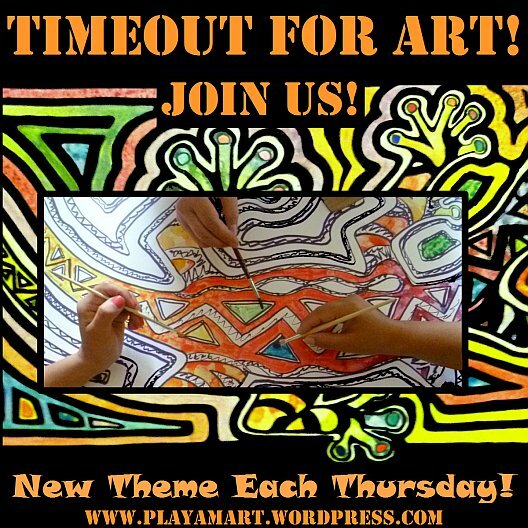 I saw your Timeout post – great sketches, though I’m going to look at them again – now that Global Big Day is over! Oh, what a nice surprise that would be, with your original artwork: so thoughtful, and from the heart! My sketches are nothing special…we had a lot going on…but sometimes just taking the step is something to celebrate. Thanks, Lisa! Yes, they were fun, and my friends were very happy to have such ‘limited edition’ shirts! I finally found the illegal alien! Now, you need to give me some instruction as to how to photograph those glorious birds! It is always hit or miss for me…more miss. Hugs. Such beautiful detailed drawings Lisa and so many birds in your area. Yes, and we definitely had a full immersion in birds! The drawings were for a tshirt, and my two friends were so surprised to have their limited edition shirts!!! I see there were some good entries from New Zealand on last year’s Global Big Day. It’s a wonderful project. It is a wonderful project, and I hope that lots of people were able to enjoy the birds’ holiday! We had really pretty weather, always nice! Thank you Teresa! You might spot those drawings on the Tshirt in the Global Big Day/Segua post! Wonderful photos and Amazing art Lisa.. Birds are a must in my garden.. And I have had the pleasure of seeing them gather materials to take to build nests in our shrubs.. I did not know it was a global day.. But you can be sure I will be bird watching..
but some do make south Florida home. The Mockingbird’s call is a favorite. Lovely photos and story Lisa! I finally bumped up against the Global Big Day. I should stop by eBird from time to time, and I’d know about these things. Thank goodness you keep us up to date! It’s great to see the whistling ducks in such a different — and yet similar — environment. It’s impossible to name a favorite bird, but they’re right up there. I know that we have rails, too, but I’ve never recognized them. I’ll have to educate myself, and see if I can locate some. Your photos always are good, but these drawings are exquisite. Thanks, Amiga, and I’m in transit on the way to my friends’ home in Chone, near the Segua.. Thanks for your kind words about the drawing, which is one of three to use for a t-shirt for tomorrow’s event.. A limited edition of three shirts – ha – but the printing was via a printed iron-on, which looks like it was ironed on – but it will give the three of us much pleasure to have special shirts for the day! See you online Monday to compare notes! I hope that your weekend went well! I’m still not finished with images taken over the weekend! I have a message from the museum, and we’re trying to coordinate a day to meet. They have not confirmed yet on the date, but sometime in October — or perhaps this meeting is to change the month? Thanks – will let you know! To have so many amazing creatures around you would be heavenly! Wonderful photos Lisa, and those sketches are simply fabulous! Thank you, and the sketches were used for our t-shirts!! I missed this post….it’s hard to keep up! I like the snails…and I can’t find the illegal alien, but want you to know that they’re “illegal” here, too. The county wants people to kill them if they find them, that’s how invasive they are. Yes, the piles of snail shells are fun to discover… The kites are well fed, and they certainly help keep the snail population in check.